Double Cobalt Glass, Israel 100 B.C. – 100 A.D. Double Cobalt Glass, Israel 100 B.C. – 100 A.D. in modern copper reconstruction. The double configuration adds a bit of power and a tweak of energy slippage, which is all to the good, when working with the slippery sliding of Portal and Gateways passage. 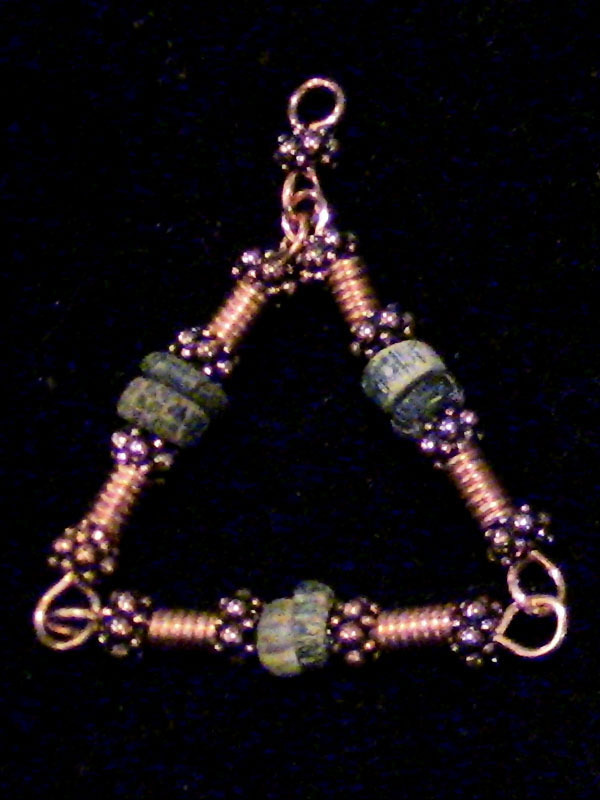 This is a great Triad for locating lost things.